Clone Wars era content coming starting this fall, plus more updates outlined. At EA Play, we announced that we’re bringing more Clone Wars era content* to Star Wars™ Battlefront™ II. We also said we would provide a Roadmap for Battlefront II after the end of the Han Solo Season, in an effort to increase transparency to our players and fans as to what updates will come to the game and when. Today, we’re giving you that overview of the road ahead. ONGOING EFFORTS: Improvements on matchmaking, daily challenges, map rotation, BUG FIXING, and balancing are ongoing. IMPORTANT DISCLAIMER: More content and features to be confirmed in future roadmap updates. The Roadmap covers new content such as modes, heroes, appearances, maps, features, and other game improvements. It doesn’t include specifics on ongoing efforts such as bug fixing, balancing, map rotation, matchmaking, or improvements to daily challenges, as these happen constantly. This marks a new way for us to communicate and provide transparency as to what is coming to Star Wars Battlefront II. While we try our best to stick to the Roadmap, adjustments do happen, and updates might get brought forward or back. We will communicate changes as quickly as we can. And as a rule of thumb, we will try to update the Roadmap on a monthly cadence. 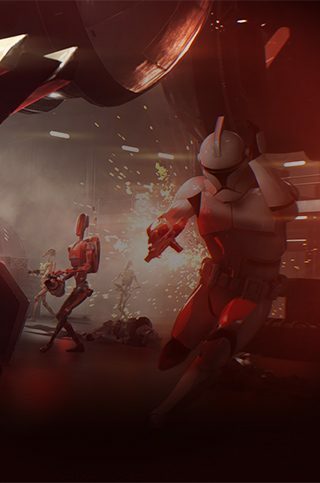 Don’t forget to get up to speed on the most immediate content drops by visiting us here on the official Star Wars Battlefront II website. Also, make sure to read the latest Community Transmission and keep your eyes on EA Star Wars™ on Twitter, Facebook, and Instagram, or join the discussion on the official forums.